The V-8 engine has defined American performance since Henry Ford stuck a low-cost flathead V-8 in the 1932 Ford. It made cars faster than their brakes and suspensions could handle during the muscle car era of the 1960s, got choked during the gas crisis of the 1970s, and came on strong again with a return to speed and power in the last 20 years. 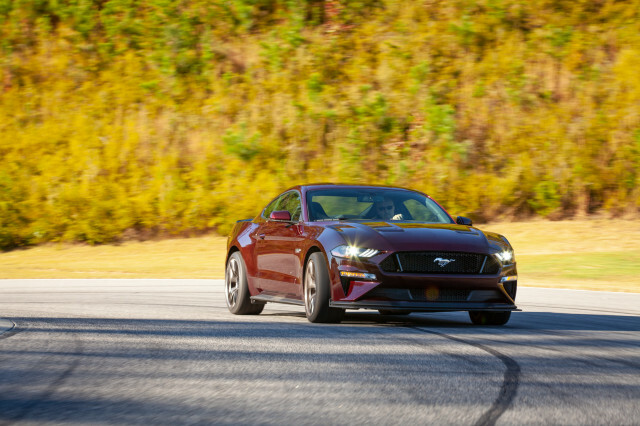 The 460-horsepower 5.0-liter V-8 in the current Mustang GT puts American muscle within reach of the automotive enthusiast. But that type of rip-snortin’, exhaust burblin’, gas-burnin’ performance could soon come to an end. American emissions standards will tighten through 2022, but plans for further regulations through 2025 have been scuttled. However, the rest of the world will put stricter controls on emissions from greenhouse gases. That means the gasoline engine’s days are numbered. Ford even has said it could use the Mach 1 name, a sacred Mustang moniker, for an electric vehicle. Electric power is clearly the future, but the gasoline engine will hang on. For how long, though, and in what form? While there are no clear answers to these questions, we decided to take them on anyway. Each member of our staff looked into their crystal balls to predict the future of gasoline performance. Green Car Reports’ Senior Editor Bengt Halvorson had more fun with the idea than the rest of us. His narrative sets readers in 2040 and imagines what a Shelby Mustang might be like 22 years into the future. 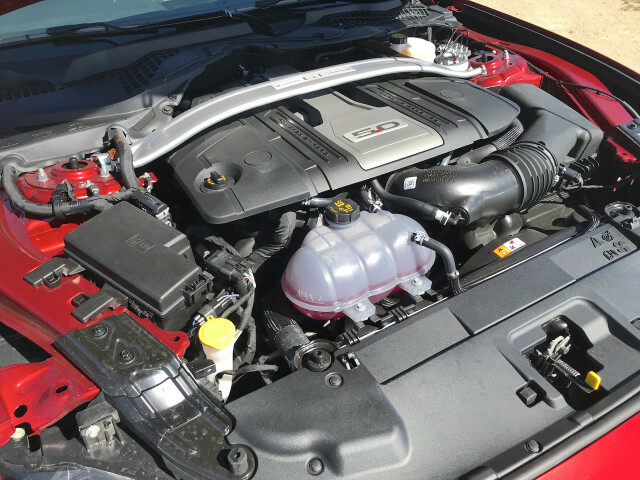 As you’ll see from the comments below, we share several ideas, but even those who follow the industry closely disagree about the future of the gasoline engine. Live by the battery, or die by the battery. The looming fact of electrification doesn’t mean the end of performance, but America’s new-car fleet will almost surely wave goodbye to gasoline-powered engines in my lifetime. And I’m old enough to remember when Mustangs had Pinto front ends. China will soon declare gas engines a thing of the past. When that happens, carmakers will either have to decide to switch over to batteries for everything—economics of scale and whatnot—or to huddle together in unique and interesting ways. GM and Ford have built transmissions together; if they decide there’s one last hurrah left in a gas-powered Camaro and Mustang, might they Don Quixote out one more internal-combustion engine for both their pony cars? More likely, they’ll decide to pull the plug, as they switch to the plug. It’s why we’re talking about it here and now. This could be the last pure gas-powered Mustang in history, and that’s a moment worth marking. Electrified performance will only make cars like the Mustang better off the factory floor. While air pollution gets concentrated where it can be more easily treated, enthusiasts will be treated to instant torque, home refueling off-hours, emergency-only stopovers at charging stations (which may be Starbucks, not a Citgo with a restroom key attached to, hmm, a chainsaw? ), and cars with hundreds fewer parts to go wrong. Life will get tougher for tuners. An entire SEMA subculture based on fixing the Mustang’s rear suspension could find itself latched on to the rapidly aging cars of the past. A few collectors will grow rich quickly. The rest will not. The magic switch-on date won’t look like that; gas cars will ply the roads alongside battery cars, and as another editor reckons, gas-engine cars will see fuel prices rise and will become playthings trotted out for occasional track days or country-road runs. Economics will dictate the switch, more than politics, but never rule out the ruling class to break up a great party (see: Prohibition). The rest of us will be treated to a once-in-a-generation revolution, one in which the fundamental idea of performance comes from the grid, not from the ground. Gasoline engines will live on as long as they can, and the good news for enthusiasts is performance cars will be the last holdouts. Various automakers have said that they will continue to use internal combustion engines because the sounds they make contribute to the soul of a sports car. Still, electric powertrains are coming, even for performance cars. The instant torque and efficiency they offer are just too alluring. 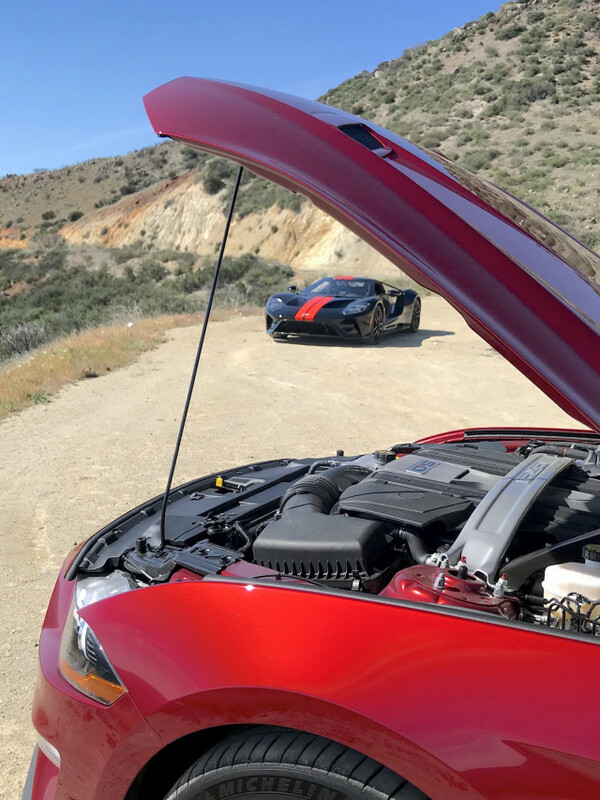 America will hold onto the V-8 engine the longest, with the Mustang, Camaro, Corvette, Charger, and Challenger as the last holdouts for naturally aspirated and supercharged power—full-size trucks should tag along for the ride, too. Former FCA CEO Sergio Marchionne even said his company would pay fines for falling short of CAFE requirements if need be. As long as CAFE rules hold at the 2022 standard, these engines could hang on much longer than was expected a few years ago, though they could also be supplemented by electric boost. Germany is already using all the tricks. The country’s automakers are taking a more integrated approach by turbocharging and electrifying their engines. The 48-volt system in the new Mercedes-Benz CLS is the first warrior on this front. It employs an electric supercharger to create boost at low rpm and uses a motor to run the air conditioner and water pump instead of sapping energy from the engine. But Germany likes its high-end sports cars, so expect its luxury marques to hang on to the sound and fury of internal combustion even as they begin switching over to electric cars. The Mercedes-AMG One and Porsche 919 Hybrid race car prove that big power can be derived from small engines supplemented by electrification. While that’s state-of-the-art race car technology, it can trickle down into more mainstream performance cars. Still, as Europe moves forward on emissions standards, likely without the U.S., European automakers will be forced to go all-electric. Expect several battery electric offerings from each European automaker by 2025, with a complete transition as early as 2035 but more likely around 2050. Japan could be more conservative, with smaller turbocharged engines from Honda, but perhaps some larger, force-fed V-8s from Lexus. Japan likely will find itself in the same position as Europe, and electric powertrains will eventually take over completely in the same timeframe. Previous story What should we do with all of those empty churches?